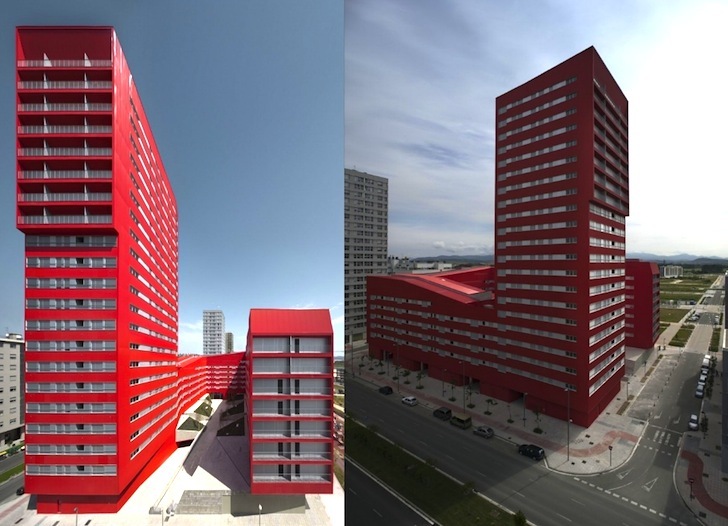 The residents of these bright-red social housing units in Salburua, Spain, are the envy of every bill-paying apartment (and house!) dweller everywhere. 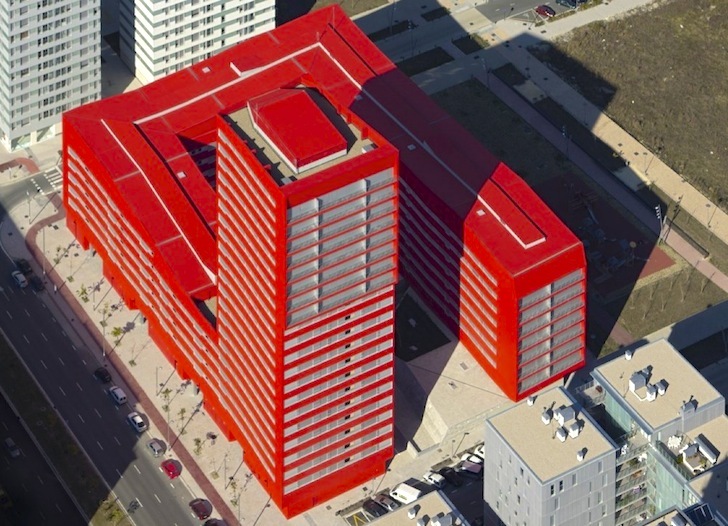 In a feat of remarkable design innovation, these affordable apartments — designed by ACXT — actually produce too much energy! The U-shaped structure abounds with energy-efficient design strategies: A continuous ventilation system extends from one side of the roof to the other, mitigating the need for chimneys. The floor plan of each apartment is positioned for maximum solar exposure; kitchen and living area on the outer edge facing the street, bedroom facing in towards the courtyard. And its waste and energy generation services are clustered together to ensure maximum efficiency.